The recession and the rain did not stop the first all inclusive fete for 2018, as hundreds of people, including Prime Minister Dr Keith Rowley, came out to Soka in Moka, held at Trinity College grounds, Maraval on New Year’s Day. The event was organised by the Soca in Moka Foundation. The absence of signage from the usual corporate sponsors, as well as cups, bandanas, glow sticks and other giveaways told of a cut back on spending. But when it came to the music there was no compromise and the pace was set for the Carnival season. Debutant band, Brass to the World gave a great showing with its brass section cutting clear lines and its vocalists keeping patrons well entertained. Soca sensation Nailah Blackman was a guest performer with the band, and she too had the audience jumping with her selections. Ronnie McIntosh also gave a special performance of some of his classics, which sent the crowd into a frenzy. 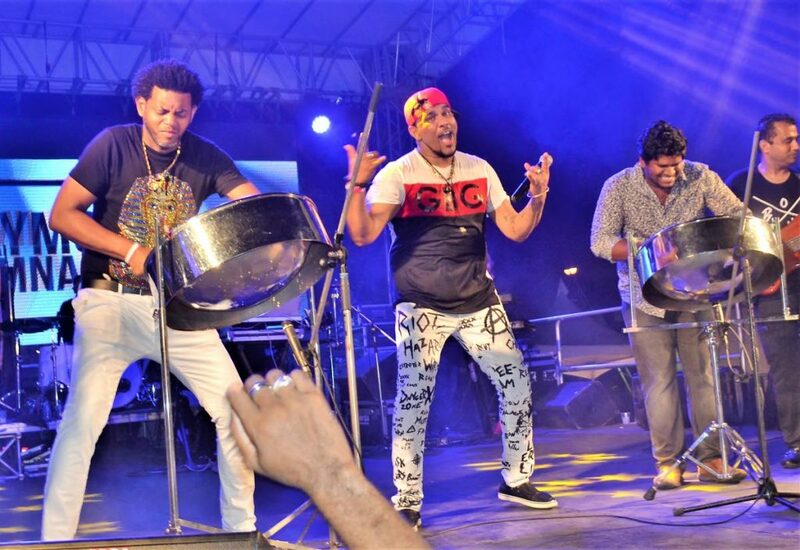 Dil E Nadan was up next and proved that consistency is the key to success, as lead singer Raymond Ramnarine engaged the audience with his performance. 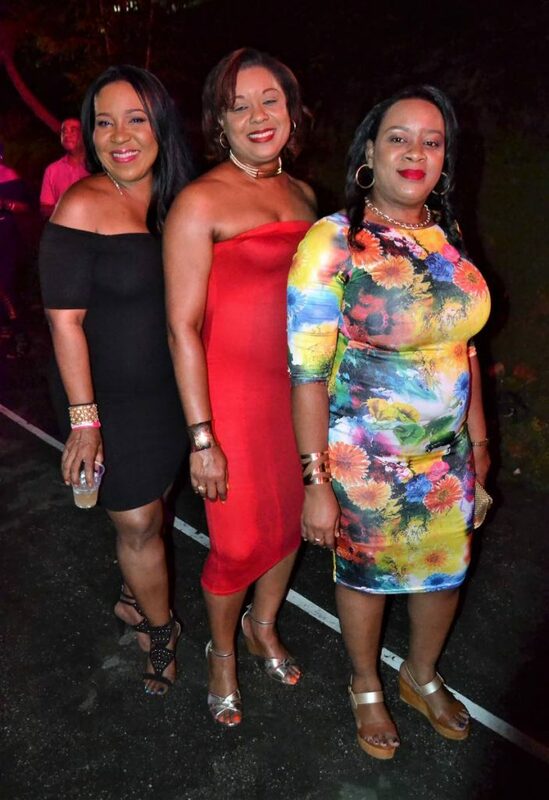 Other vocalists Stephen Marcelle, Renuka Mahabir and Derrick Seales made good on their promise to entertain the patrons. 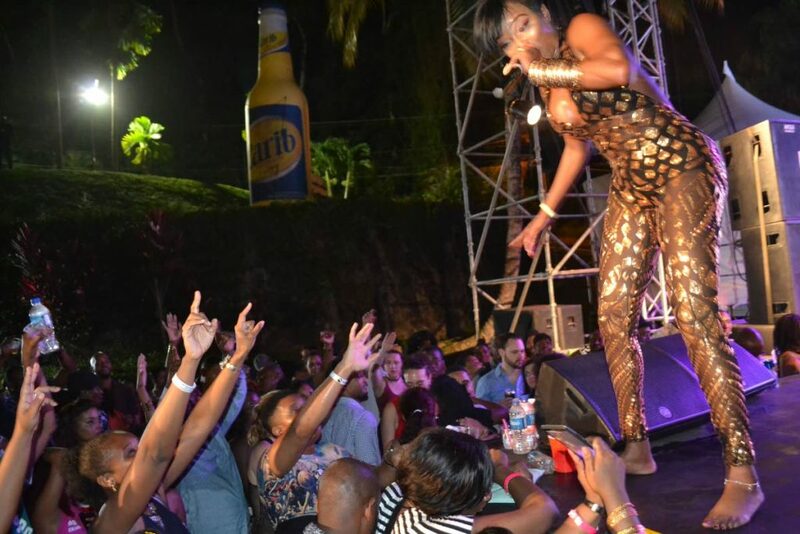 The band’s performance of a Machel Montano’s medley, which included Pop ah Bottle and Mr Fete sent patrons wild, and the inclusion of a segment with pannists Dane Gulston and Johann Chuckaree added to the experience. The entertainment got better as D’All Starz came on stage with Dexter “Blaxx” Stewart, Tanzania “Tizzy” Sebastian, Teddyson John and Ricardo Drue. 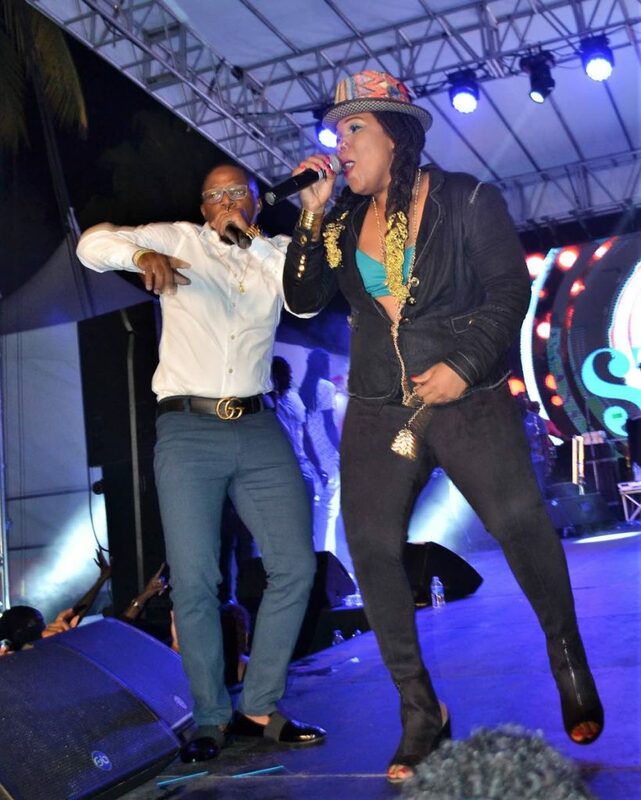 But the highlight of the performance came when Blaxx introduced two-time Soca Monarch Aaron “Voice” St Louis. He had everyone singing Cheers to Life and Far from Finished, before he introduced Marge Blackman. Together they performed Full of Vibes much to the delight of adoring fans.